Are You Interested in Starting Your Own Yard Greeting Business? Sign Dreamers is expanding quickly and we are searching for creative individuals interested in starting their own yard greeting business. We only allow one Sign Dreamer per territory and territories are going fast so act now if you’re interested. Fill out the interest form below or call or text us now at 214-585-5339. How do I start a Sign Dreamers yard greeting business? Review and approve your optimized territory. Sign our simple, one page licensing agreement. Our experienced team will be there to support you every step of the way. What is the time commitment for running a yard greeting business? In our experience, the time commitment is approximately the same as a part-time job. The time commitment is very flexible and you can increase or decrease the amount of time spent on your yard greeting business as you see fit. Have questions about starting a yard greeting business? Call or text us now at 214-585-5339 or fill out the interest form below. 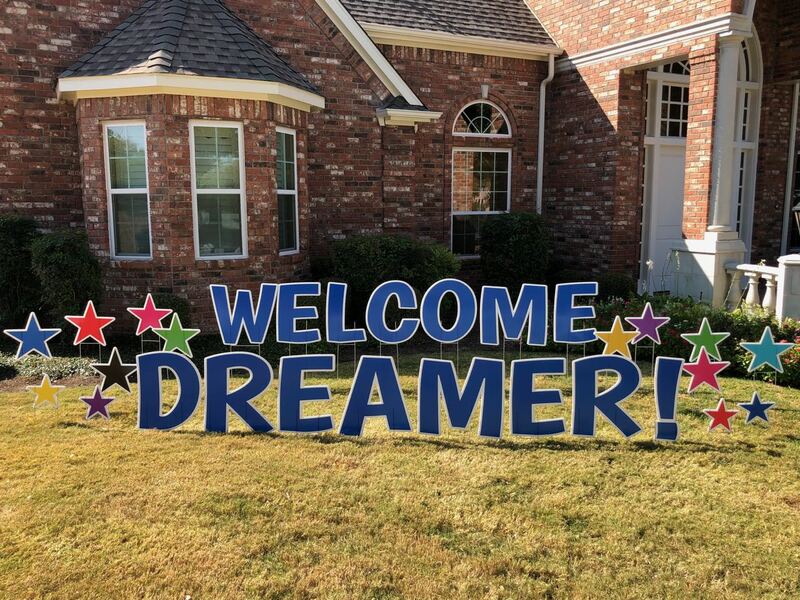 What do I get when I start my Sign Dreamers branded yard greeting business? A license to use the Sign Dreamers brand name and logo for your yard greeting business. An exclusive territory designed to fit your needs and optimize your business. (Only one Dreamer is permitted per territory). Access to the most attractive and highest quality yard signs anywhere, period. A dedicated page on the SignDreamers.com website and all leads in your area sent directly to you. The advantages of our social media and SEO marketing presence. Call or text us now at 214-585-5339 or fill out the interest form above.